Secrecy and propriety used to define our cultural and professional lives. We kept trade secrets, held closed-door meetings, had whispered conversations and kept the details of our comings-and-goings to ourselves. That’s no longer the case. We have entered a new era — one characterized by openness — in which our world and our relationships have become increasingly interconnected. 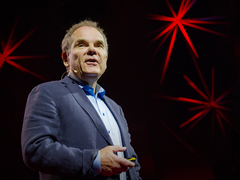 Don Tapscott: Four principles for the open world It’s difficult to say what this new age of collaboration will mean. But in the new TED book Radical Openness: Four Unexpected Principles for Success, authors Anthony D. Williams and Don Tapscott (who gave the TED Talk “Four Principles for the Open World“) explore some of the questions and and uncertainties ignited by this new era. Their big question: what this will mean for the boundless inventiveness of the human mind? We sat down with Tapscott and Williams to ask them more. What do you mean by the term ‘radical openness’? Tapscott: We wrote the book, in part, because the word openness was so ambiguous and ill-defined. It generally tends to have very positive connotations and is associated with concepts like freedom, flexibility, expansiveness, engagement, sharing, access and candor. But in practice we find that “openness” can mean many things, depending on the circumstance. So we’ve looked at four different strategies for openness that ultimately entail some pretty deep changes in business and society. That leads to the other reason for writing the book. We think that leaders are not fully exploiting the power of openness in their businesses and institutions. In fact, when it comes to innovation, competitive advantage and organizational success, “openness” is rarely the first word one would use to describe companies and other societal organizations like government agencies or medical institutions. For many, words like “insular,” “bureaucratic,” “hierarchical,” “secretive” and “closed” come to mind instead. Williams: The new form of radical openness described in this book stands in stark contrast to the insular, bureaucratic, hierarchical, secretive and closed systems and organizations of the past. For example, smart organizations, from education to health care to government, are shunning secretive practices and embracing transparency as a means to foster trust and speed up the metabolism of business. Industries — from software to manufacturing to pharmaceuticals — are opening up their innovation processes and treating their customers and partners as valuable sources of intelligence and new ideas. And rather than go to extraordinary lengths to control and protect proprietary resources and innovations, a growing number of companies are sharing intellectual property and releasing patents in a bid to accelerate research, foster relationships and stimulate progress in other areas where they will see profits. All this adds up to nothing less than a paradigmatic, transformative shift in the way organizations — from companies to social movements — compete and succeed. You say that old systems are failing us. How so? Williams: Times have changed. Organizations either adapt to these dramatic changes or they will die. Take the dramatic increases in transparency for example. While secrecy and opacity have been hallmarks of business behavior in the past, maintaining and defending secrets is costly and difficult in an era where billions of smartphone-wielding citizens can transmit information around the globe in a heartbeat. Tapscott: When it comes innovation, it’s simply the case that radical openness produces demonstrably better results. Companies that produce new products in remote, closed-off laboratories, for example, tend to be slower, less agile and less innovative than companies that open up and reach outside their boundaries to find exceptional talent and ideas. Procter & Gamble is a good example of a company that really exemplified the old industrial model of closed innovation for most of its history. This worked well until about the year 2000 when global competition began increasing and P&G found it increasingly difficult to keep up. Since embracing a radically new external collaboration program called “Connect and Develop,” the company has dramatically increased their innovation success rate by enlarging the pool of new product ideas (with close to 60 percent coming from outside the company) and the revenue drawn from them, while still managing to save over $1 billion in R&D costs annually. We also see examples of deep institutional failure and cases where radical openness is revolutionizing entire systems and industries, not just individual companies. We write about the crisis of innovation in drug development, for example, where the basic model for inventing and commercializing potentially life-saving medications is broken and failing society badly. The problems there have largely to do with a highly risk-averse and legalistic industry culture that comes at the expense of opportunities to co-develop early-stage technology tools, establish data standards, share clinical trial data or pursue other forms of collaboration that could lift the productivity of the entire industry. Fortunately, companies like GSK are strategically releasing patents and leading the charge toward more open models of drug development that will increase research productivity and stimulate medical progress. What factors are forcing the dramatic opening up of society? Financial? Societal? Tapscott: Changes in regulation (think the Sarbanes-Oxley Act, for example) have been influential, but arguably the most important force is the digital revolution. For the first time, billions of people can use cheap digital devices to capture and publicly disclose information that people in positions of power would rather remained hidden. This explosive combination of the spread of the Internet and the ability of people everywhere to connect and collaborate around shared interests is forcing an unprecedented degree openness in virtual every major social and economic institution. Why is radical openness such an unnerving concept for business? What are the downsides to radical openness? Sometimes, unsavory forces fill the vacuum left by great change. Tapscott: That’s true, and we’ve argued that radical openness poses potentially graves risks to our privacy, our identity, our safety and even our sense of personal autonomy. To be sure, there is a real upside to participating in communities, seeing photos, hearing stories or knowing the location of friends and family. Sharing also helps companies deliver personalized products and services. But there are massive commercial and government interests, along with malevolent individuals, who have much to gain as each of us reveals highly granular personal information online. Indeed, the real problems begin when this data is assembled into profiles, matched with other info and used by employers, law enforcement officials, public sector agencies and other interested parties to make (automated) judgments about (and decisions affecting) individuals, such as whether to hire them, or whether to admit entry, or to calculate benefits or terms of an offer, or to corroborate a claim. In such circumstances, the effects of privacy loss include discrimination, especially if the data is inaccurate. Williams: The bottom line is that each of us has a responsibility to be mindful of the ever-growing trail digital breadcrumbs that we leave behind when a growing proportion of our daily lives play out online. Any great examples of organizations that first rejected this openness and then engaged it? Williams: It’s actually quite typical for companies to at reject the idea of openness at first. And it’s common to see situations where leaders come to realize the value of openness only after they have seen secrecy and opacity fail spectacularly. A case in point is Micrsoft. When hacking the Xbox Kinect turned into a popular Internet sport, Microsoft initially said that it would “work closely with law enforcement” to keep the Kinect tamper-proof. But after public ridicule, Microsoft quickly reversed its stance, claiming that the Kinect had been left open to tinkerers on purpose. Today, Microsoft benefits from a whole new ecosystem of Kinect applications that have been developed by tech enthusiasts around the world. These include everything from a Minority Report–style multitouch interface to a navigation system for robots to a gesture-based interface for questing in World of Warcraft. A team of students from the University of Warwick in the UK even built a robot that had the potential to navigate through post-earthquake rubble and search for trapped victims. How could this kind of unsanctioned innovation not be valuable, both for Microsoft and for its customers? What are some of your favorite examples of radical openness? Tapscott: In the book, we write about the unprecedented steps GlaxoSmithKline took in October 2012 to release all of its clinical trials data on the Web. It was an extraordinary move — a bid to aid in the discovery of new medicines and end any suspicion that the pharmaceutical giant had secrets to hide. This was an incredible first in the ultra-secretive world of drug development. Chief executive Andrew Witty called the move essential to finding new drugs to treat the diseases plaguing the world and there has been much admiration for these efforts in the broader medical community. In government, a growing number of public officials see openness as a positive force in increasing citizen participation and driving public sector reform. The Eye on Earth portal from the European Environmental Agency (EEA) is a case in point. This interactive mapping platform provides citizens with real-time information about environmental quality (including air and water) in Europe’s 27 member countries. Users can browse the visual imaging interfaces and drill down for detailed, neighborhood-level data about ozone levels, nitrogen dioxide, particle matter and carbon emissions. Citizens can even contribute their own data and observations about the environment around them, including first-hand experiences of climate change or potential explanations for environmental degradation in specific areas. Jacqueline McGlade, the EEA’s executive director, says the real opportunity here is that when more people understand what’s happening in their area, more will contribute to solving environmental problems. Does radical openness operate the same globally as in the US? Williams: You need only look at the Arab Spring to see that no country is immune to the forces of radical openness. That said, it’s clear that the US and other Western nations with a history of democratic traditions and with widespread access to modern technologies are well ahead of newly emerging democracies and countries like North Korea or Iran where the forces of openness are aggressively curtailed by the current regimes. In what ways has radical openness proved successful for different organizations? Another way that radical openness breeds success is by giving companies access ideas and capabilities that lay outside their corporate boundaries. Think about the world’s most successful mobile platforms like Apple’s App Store or Google’s Android. Conventional wisdom suggests that companies should fiercely protect the products and platforms they have worked hard to develop. But what smart companies like Apple and Google have learned from the open-source community is that exposing these assets to the world creates far greater opportunities for external parties with the right combinations of skills and insight to create something even more valuable. The App Store has more than 700,000 applications that have been created almost entirely by third-party developers. Meanwhile, Google has taken openness to whole different level with the open-source Android platform that allows users and handset makers to tinker with the guts of the system. Android (which has 700,000 apps of its own) has been installed on 500 million phones worldwide and is growing by 1.3 million activations a day. In both of these examples, the products themselves (iPhones or Android smartphones) have become open stages on which vast ecosystems of exceptional talent create and assemble some of the world’s best innovations. Is Wikileaks a good use of radical openness? Williams: Wikileaks is interesting because there are elements of good and bad in the way that the whistleblowing site has been deployed by Julian Assange. On one hand, revealing information about the activities of powerful individuals and institutions is a potent deterrent to misbehavior. The more people can find out, inform others and organize, the less politicians can pursue self-serving behavior, spend taxpayer dollars indiscriminately or act against the public interest. On the other hand, WikiLeaks’s approach of forcing transparency on organizations is hardly unproblematic. Why should we trust its founders to make responsible decisions about the information they disclose when so little is known about its criteria for assessing leaked documents? Who watches WikiLeaks? Can it be held accountable when sensitive and potentially life-threatening information is leaked to the public? These tough questions will be actively debated as the forces of openness intensify. Radical Openness is part of the TED Books series. It is available for the Kindle and Nook, as well as through the iBookstore. Or download the TED Books app for your iPad or iPhone.